Mix cheese, beans and chiles in cooker. Cover and cook on Low heat setting 2 to 3 hours or until cheese is melted. Stir until cheese is smooth. Scrape down side of cooker with rubber spatula to help prevent edge of dip from scorching. Serve with tortilla chips. Dip will hold on Low heat setting up to 2 hours; stir occasionally. In addition to tortilla chips, try scoopers such as pretzels, bread cubes or even carrot and celery sticks. 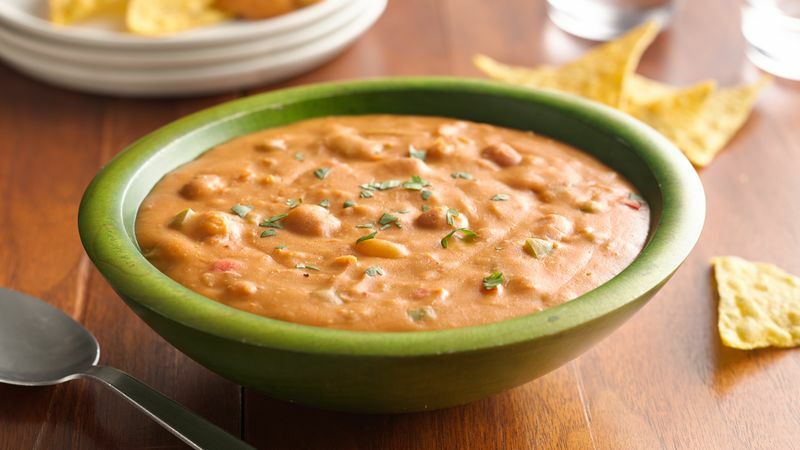 This dip is also great spooned over tacos and nachos. Just before serving, sprinkle the top of the dip with chopped fresh cilantro to add a dash of color and complement the flavors.